If you got a Samsung mobile phone with enabled FRP lock, then you might want to read this entire post. In this post, we would like to tell you about the use of this FRP Hijacker By hagard Tool which will allow you to remove the FRP lock momentarily. First, you should get an idea why you will find your mobile phone with FRP locked. Sometimes when you bought a mobile phone, old one and the user factory reset the mobile phone with the FRP enable. When you will want to factory reset the phone, it will ask you to provide the Google account details, those details which were inserted when the phone was factory reset. So, you do not know what were those details, so would not be able to factory reset your mobile phone. You can FRP Hijacker By hagard to unlock the FRP lock of your mobile phone, with just one tap of the finger, the lock will be removed and you will remove all the data available on the phone. How to use FRP Hijacker By hagard Tool? 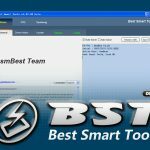 Now, you can use the tool, first, download the tool on your computer, and install it on your computer. And one thing more must download the Samsung USB drivers for your mobile phone. 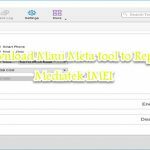 As this tool is not going to work without of the proper engagement of your mobile phone with the computer, so, it is recommended to install the USB drivers. You will find the USB driver in the USB driver portion. 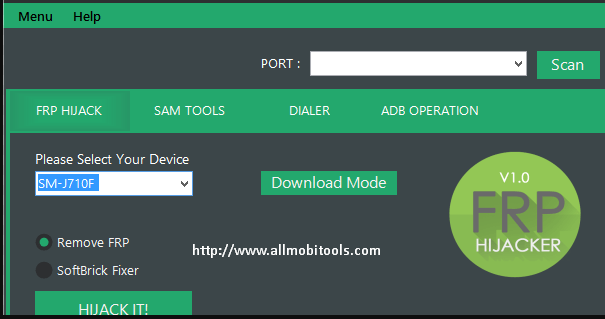 Launch the tool which is going to remove the FRP lock of the phone, connect your mobile phone, the phone should be at that step where it is asking you to provide the previous details of the Google Account. Now, when you will connect the phone, you should search the mobile phone model in the Windows, and the port. You can find the port by going into the device manager, USB driver> properties> port. And see the port details, to put that details on the given windows and press the Scan button. While you press the scan button, the tool will start updating the software and collecting the data, press the Remove FRP button and the software will start updating, removing the FRP lock of the phone. Right after the pressing the button, your mobile phone will start removing FRP and will do it. You can now use the phone reset the phone with factory reset data, and use all the other details. Can do additional jobs for you like software fixing or removing the errors. So, download FRP Hijacker By hagard from the link below, you can download it from the link below. Hope the download link would be working fine if the link is not working or showing any error, comment down in the section.